Current retail data indicates that 51% of Americans prefer online shopping to in-store shopping and that e-commerce is growing at an average rate of 23% year-over-year. Because of this, retailers and companies in other diverse verticals have recognized that pursuing online sales is the easiest formula for profit. Establishing a strong online presence, however, often requires the use of multiple tools and procedures to help companies pursue customers, improve processes, and keep an eye on sales conversion rates. What if we told you that there's one comprehensive tool that makes it easy to build a fully-functional e-commerce system from the ground up? This tool is called Oracle Commerce Cloud. OCC is a fast, stable, and scalable technology that makes it the top-choice tool for high-level e-commerce growth and performance. Today we'll take a look at how OCC handles payment systems, which is arguably the most important component of e-commerce success. When it comes to payment, there are two major concerns: payment options and security. This article will address how OCC handles payment options. 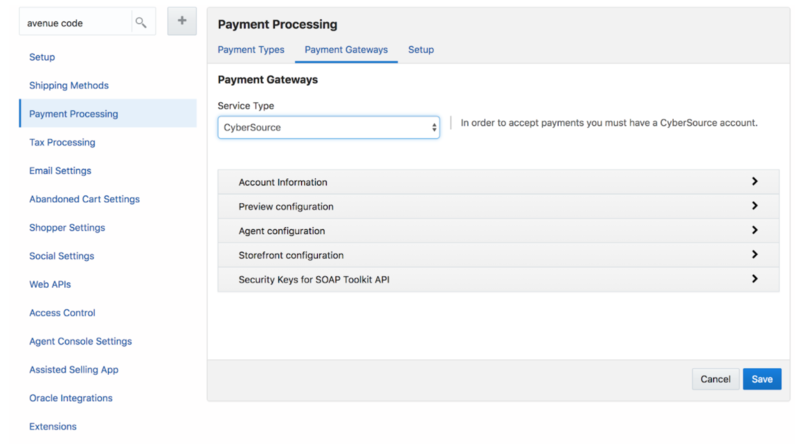 Oracle Commerce Cloud includes several built-in integrations with payment gateways. 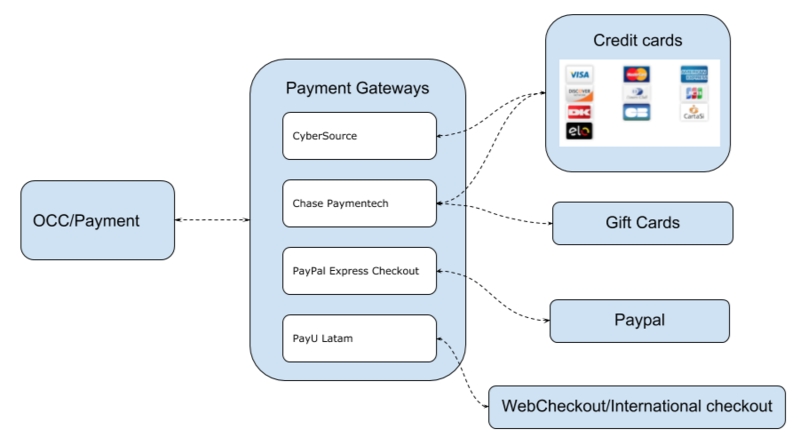 Each gateway handles a different type of payment: CyberSource for credit cards, Chase Paymentech for credit cards and gift cards, PayPal Express Checkout for PayPal, and PayU Latam for international checkout (see figure above). Administrators also have the option of adding custom integrations for alternative payment gateways. Each gateway has a unique configuration, which we'll address individually. Each also has a specific strategy for validating payment information. It's important to note that OCC never stores sensitive shopper information under any circumstance. Once the merchant account signature has been validated, shoppers will be allowed to proceed with transactions. Shoppers' payment information is sent directly to CyberSource and is never stored on Oracle servers. This means that CyberSource is directly responsible for payment security. In order to secure payments, CyberSource replaces payment information with a unique code called a payment token. 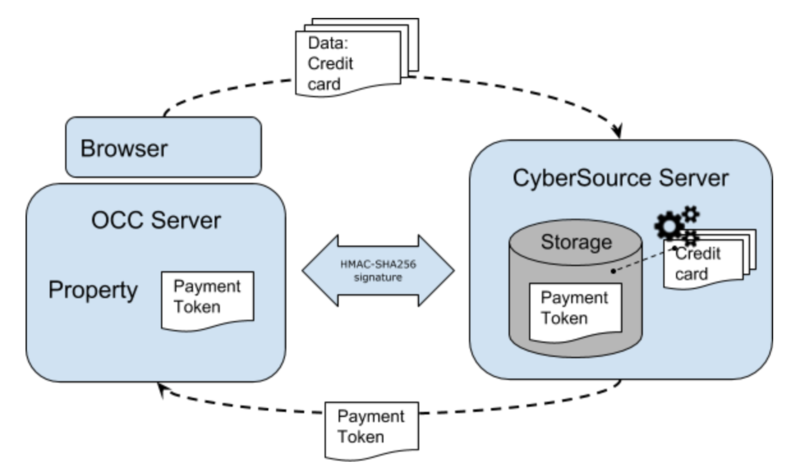 This token is shared between CyberSource and the merchant's Oracle server. In every stage of order processing, including payment collection, refunds, and shipping, the token is used in place of sensitive payment information. 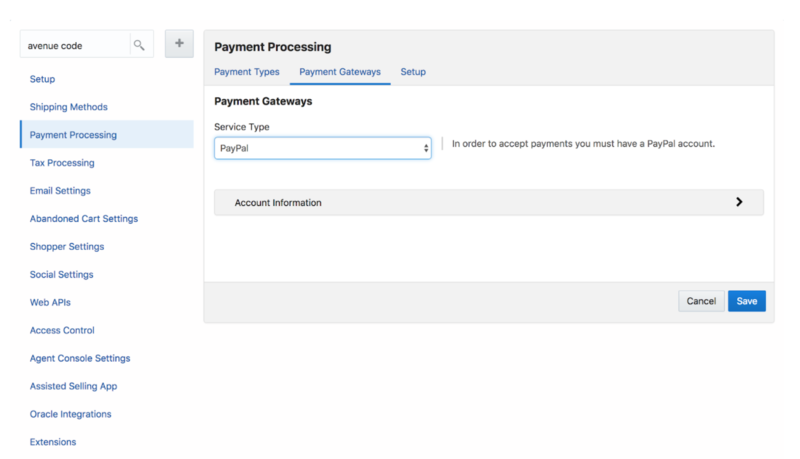 To configure Paymentech, go to Menu->Settings->Payment Processing->Payment Gateways. Next, select "Chase Paymentech" from the Service Type drop-down menu. This will allow you to set up a Chase Paymentech merchant account in order to use this integration with a generated HMAC-SHA256 signature. Once you create your merchant account, shoppers are allowed to proceed with transactions. 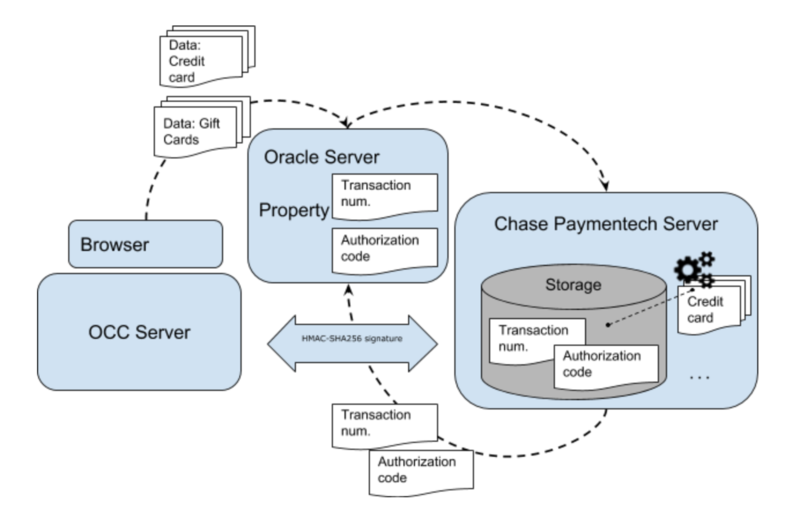 See the figure below and note that OCC sends data related to credit cards and gift cards to the Oracle Server, which then passes it on to the Chase Paymentech Server. The gateway processes the related data and creates a corresponding transaction reference number and an authorization code, which are also sent back to the Oracle server. Because the gateway does not support tokenization via the Orbital Customer Profile Management, shoppers must re-enter credit card and gift card details for all subsequent transactions. As PayU and PayPal work similarly, shoppers will be redirect to a customized PayU page during checkout. Unlike PayPaul, PayU accepts many different types of payments and other configurations specified in your Business PayU account. Also unlike PayPal, OCC users do not have the option of collecting funds later when processing payments through PayU. To configure integrations for processing orders through custom payment types, OCC customers must use the Generic Payment Framework. Generic payments are not supported by default, but Oracle Retail Order Management APIs can support sending payment details separately for an order. Whenever a generic payment is used in Commerce Cloud, payment details are not sent and the order is put into an error state. Once you update the payment details for the order, the Oracle Retail Order Management System changes the order to an open state. This is an important and powerful feature of OCC that we discussed in more detail last week. To learn more about Oracle Commerce Cloud, be sure to check out our other articles introducing OCC, detailing why it's a leading e-commerce solution, and showing how easy it makes product creation. 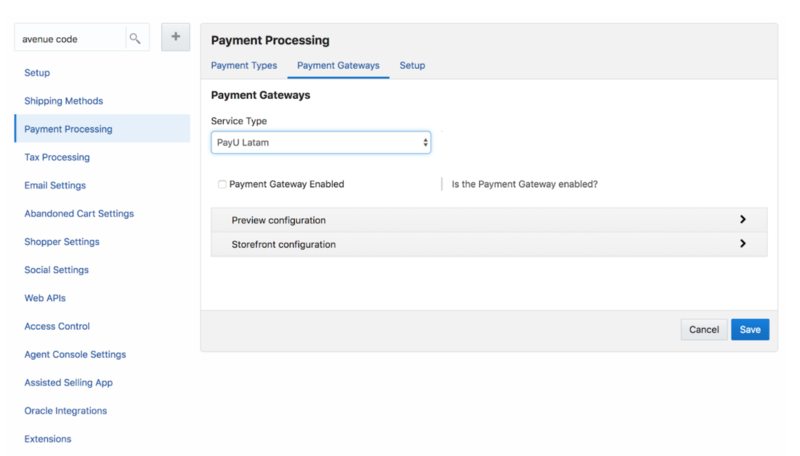 This article provides a brief tutorial on how to configure payment gateways in Oracle Commerce Cloud. These gateways are the key to allowing OCC users to set up payment options on their websites. 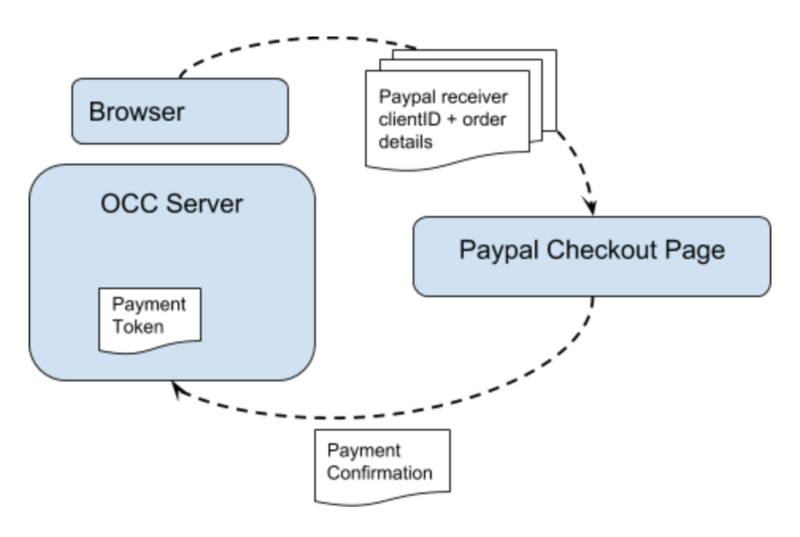 OCC users can even create custom payment gateways. Allowing shoppers multiple methods of payment is an imperative component of e-commerce business success. With OCC, this payment configuration becomes easy, safe, scalable, and customizable. Learn more about why we at Avenue Code are proud to partner with Oracle Commerce Cloud.